Keep the water on the other side of the wall! From spark plugs to bottom paint, this course covers all the basics for “do it yourself” boaters. This course will equip you with the knowledge required to prevent onboard problems, carry out specialized tasks and tackle both short-term troubleshooting as well as long-term boat care. It features practical information and handy tips suitable for both new and existing boat owners. 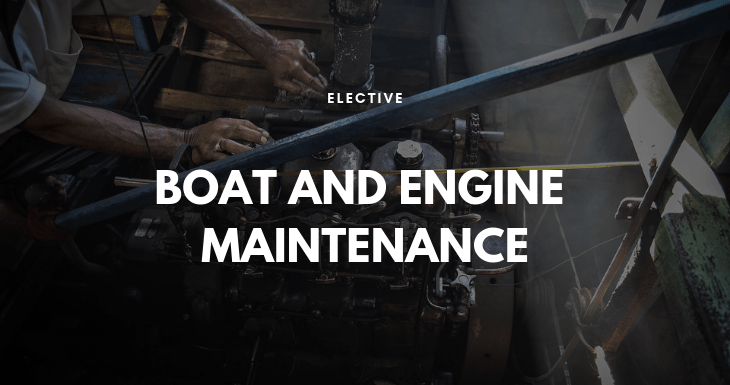 The dream of owning, maintaining and using your own boat without great expense can be achieved through the completion of the Boat & Engine Maintenance Course. *Fees, dates and location is subject to change without notice. The Boat & Engine Maintenance ticket is sold out. You can try another ticket or another date.